The information we learn from customers helps us personalise and continually improve your shopping experience at Canoes2go.co.uk. We use the information to handle orders, deliver products and services, process payments, communicate with you about orders, products, services and promotional offers, update our records and generally maintain your accounts with us. We also use this information to improve our store and platform, prevent or detect fraud or abuses of our Website and enable third parties to carry out technical, logistical or other functions on our behalf. Automatic information: We receive and store certain types of information whenever you interact with us. For example, like many Websites, we use “cookies” and we obtain certain types of information when your Web browser accesses Canoes2go.co.uk. A number of companies offer utilities designed to help you visit Websites anonymously. 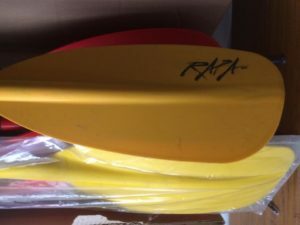 Although we will not be able to provide you with a personalised experience at Canoes2go.co.uk if we cannot recognise you, we want you to be aware that these tools exist. E-mail communications: To help us make e-mails more useful and interesting, we often receive a confirmation when you open an e-mail from Canoes2go.co.uk if your computer supports such capabilities. We also compare our customer list to lists received from other companies in an effort to avoid sending unnecessary messages to our customers. We do not send random marketing emails to personal email addresses (spam). If you do not want to receive e-mail or other mail from us, please click here. However, please be aware that restricting or blocking cookies set on Canoes2go.co.uk will impact the functionality or performance of the website, or prevent you from using certain services provided through web address. It will also affect our ability to update web address to cater for user preferences and improve performance. Does Canoes2go.co.uk share the information it receives? As discussed above, you can always choose to not provide information, even though it might be needed to make a purchase. If you do not want to receive e-mail or other mail from us, please click here.